Last week, The Australian ran an article suggesting that the Reds coach Brad Thorn is facing opposition from Rugby Australia about his reluctance to allow Quade Cooper, Karmichael Hunt, James Slipper and Nick Frisby to play in the NRC. As someone who has written about Australian rugby for more than 30 years, I would argue that Thorn’s ‘no dickheads’ selection policy for Queensland teams is the way to future success for the Reds, and for the Wallabies. If Thorn believes that this policy should be extended to the NRC, where future talent is being nurtured, then Rugby Australia should yield on this issue. Bolstering attendances for a tournament that has limited popular appeal is not the issue. The real issue is whether a group of senior players who have nothing valuable to offer the Reds or the Wallabies, who have lost the support of the coach of the Reds, and rightly so, should be allowed to play in a tournament designed to encourage rising talent. At this point, it needs to be stated very strongly that when he became the head coach of the Reds, Brad Thorn inherited a team in disarray and an organisation that was in a shambles. The future of the Reds is in the hands of Thorn and not in the hands of four players who have had their chance and, aside from the glorious year of 2011 for Cooper and Slipper, have wasted it. The Queensland Rugby Union has given Thorn its total support, as it should and as it must after the disasters since 2011. 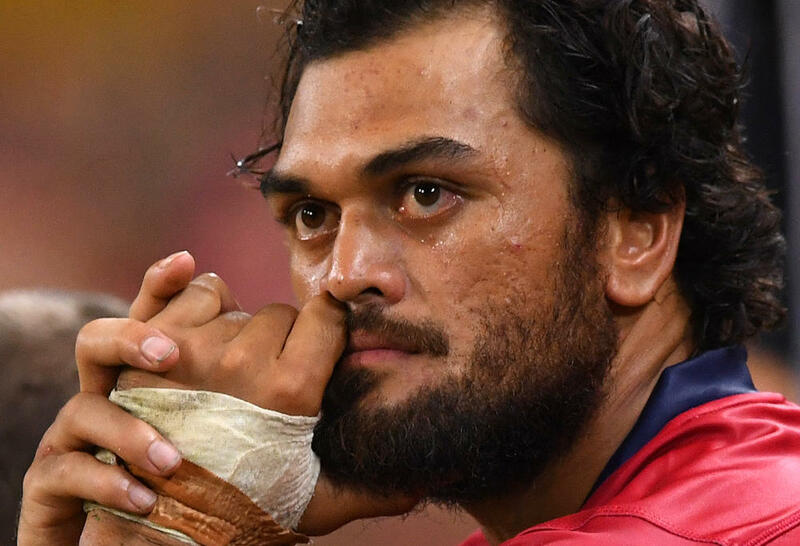 Its chairman Jeff Miller, a quality loose forward for the Reds and Wallabies in his day, wants to lock Thorn into a ten-year contract. This is problematic. It is sufficient to say that right now he is right coach for the Reds. Thorn has proved in his first Super Rugby season as a head coach, despite the ten losses suffered, that he is on track to restore the Reds to their former glory as one of the great provincial sides in world rugby. A lot of media coverage regarding the ban on Quade Cooper has focussed on Brad Thorn’s antagonism to the Wallaby playmaker’s ridiculous baiting of Richie McCaw. This was only a small consideration, if any consideration at all, why Thorn dumped Cooper. It is sometimes forgotten that Thorn passed up an early chance of becoming an All Black because he wasn’t sure at the time whether he would stay in rugby or return to league. This mantra of “team before self” was reinforced by the belief that greatness is not something thrust upon you, a gift from the gods, but a responsibility that had to be worked out, incessantly, to be enhanced and cherished by continual hard work. When Thorn came to the Crusaders, he lacked a number of attributes that were needed for him to become a starter for the All Blacks. I once asked Robbie Deans, Thorn’s first rugby coach at the Crusaders, why he didn’t play Thorn at number 8, a more natural fit for something coming league to rugby. He smiled at me. And rather than replying directly to the question gave me this insight into his thinking. He told me that he spent hours throwing a boot to Thorn and getting him to catch it while jumping higher enough to land on a strong box in front of him. And so I worked out the answer to my question. It was more profitable for Thorn and the Crusaders for the former Bronco to concentrate on mastering high lineout skills, teachable skills to someone dedicated to improving his play, than to try to improve his speed (something that couldn’t be taught or learnt) to the level required for a world-class loose forward. The All Blacks and Crusaders used Thorn and his background in league to create a new type of second-rower, the power second-rower who made the big tackles, added strength to the scrum shove and was an intimidating figure in the collisions and chaos that is created in play after play in modern rugby. And let us not forget that in the final lineout of the 2011 Rugby World Cup final, Andrew Hore threw to Thorn who caught the ball and then, using his strength, repulsed a massive shove from the French pack. His steadiness under intense pressure ensured the victory that was probably the most important in All Blacks history. If style can be defined as grace under pressure, character can be described as steadiness under pressure. And it is this sense of character that Thorn epitomised as a player, and now looks for in all his players as a coach. There is no doubt, too, that this characteristic of steadiness under pressure is one of the keys to a successful sports side. England’s football coach, Gareth Southgate, now only the third English manager to take his side in the semi-finals of a World Cup, summed up why his team has been so unexpectedly successful so far in Russia. 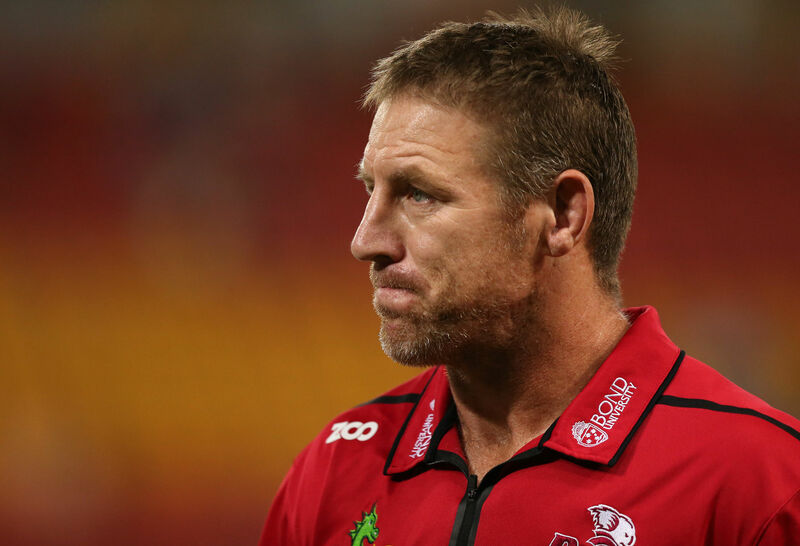 That could be Brad Thorn speaking about what he wants for the Queensland Reds. That also could be Thorn explaining why he doesn’t want Cooper, Frisby, Hunt and Slipper. It was significant that the multi-talented Rebels caved in to the resolute Reds in the last 30 minutes of play, with the scoreline standing 24–23 to the Reds, by conceding a couple of penalties and then a try in the 74th minute of play. Brad Thorn, as a player and as a coach, knows one big thing about successful rugby teams: they are steady under pressure, on and off the field. At the beginning of the season, Thorn selected Cooper and Frisby for his Super Rugby squad. But he quickly realised that neither of them would play in the way he wanted his playmakers to run a game. So within days, he cut both of them loose. Hamish Stewart provided this reliability to the Reds as their five-eighth in their against-the-odds victory over the Rebels. With Cooper on the outer, former Wallaby prop Dan Crowley is demanding, too, that Karmichael Hunt leaves rugby, at least rugby in Australia. Crowley is a brave man who worked as an undercover policeman in the 1980s while playing for the Wallabies. He insists that Hunt must do the right thing. Thankfully, Thorn knows well who there should and shouldn’t be a place for at the Reds.